Helping our kids memorize Scripture is a gift we tuck into their heart forever. This summer, I would love for you to join my family and many others as we memorize God’s Word. Feel free to print out these verses for your family. I’m posting each week’s verse on the bathroom mirror for our girls. 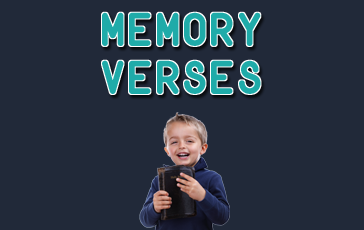 Once they have the verse memorized, you are welcome to post the video on our Z88.3 Mornings Facebook page! I have a feeling God will use His word through our kids in a powerful and encouraging way! God bless you!